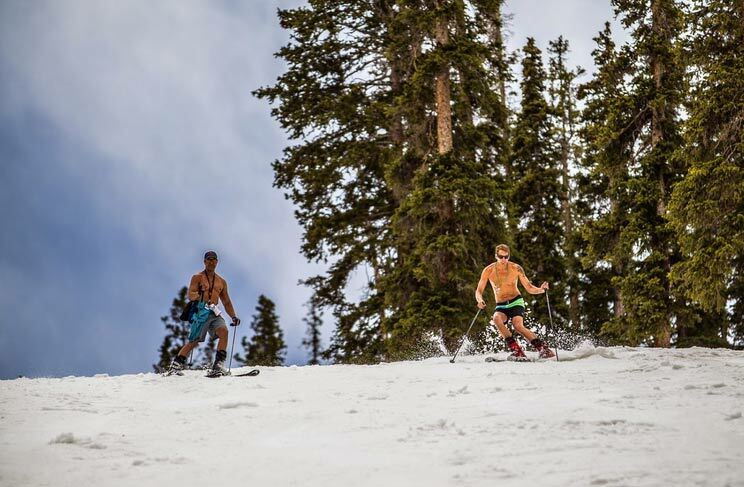 Aspen resident Chris Davenport further cemented himself into ski lore this week by completing his lofty goal of skiing Colorado's 100 highest peaks, summiting and skiing Jagged Peak in southern Colorado. Dav was joined by partners in crime Ted and Christy Mahon. The trio used trains to access the final peaks, much as they did during their trip last year to the Weminuche Wilderness highlighted in POWDER's digital feature, "Inhale, Exhale". A well earned slice of history, guys, bravo. Somebody should probably tell Joss Christensen that there will be no Olympic gold medals awarded after this season. Good lawd, this kid is on fire. The National Sports Academy, a staple for many East Coast ski hopefuls, has announced that it will close after 38 years. This year's graduation will be the last for the snow sports academy that produced skiers like A.J. Kitt, Billy Demong, Nick Alexander, and Lindsey Van, after the school declared bankruptcy earlier this year. Arapahoe Basin to stay open until June 14! Okay, I pretty much included this because of the photo, not going to lie. Bro out 'til you go out, my friends. Oh, and if you're from Colorado, ski lift-serviced terrain until June 14. Screw goggle tans, A-Basin is going all the way. PHOTO: Arapahoe Basin Facebook page. Welp, there you have it, folks. GoPro, the POV giant, squashed the brief rise of independent drone companies by announcing that it will produce its own flying camera pest for the 2015-2016 season. No word on exact designs just yet, but expect to have a whole lot more obstacles to avoid on the hill very, very soon. Following Vail's Epic Pass extension into the Land of the Rising Sun, the Mountain Collective figured it was high time to head east, linking Hakuba Valley into an already-stacked lineup of resorts. Now Jackson and Alta dirtbags that sell an organ or two to make it Japanward can have the solace of two free days at a 1998 Olympic venue. Seems like a fair trade to me!